Fourteen-year-old Nikki is forced to leave her whole world behind when her mother makes an impulsive move to Missouri. Once in the heart of Saint Louis, her mother begins a vicious cycle of abuse and abandonment, leaving Nikki to fend for herself at her grandmother’s house, amidst her mother’s drug addicted siblings. Humiliated, lacking resources, and feeling more than ever like a burden, Nikki decides to take matters into her own hands—when she embarks on a journey to find her father, a missing piece to the puzzle of her life. Along the way she unravels more pain and layers of family abuse, causing her to want to give up. But she won’t give up. Not yet. Not Nikki. Not until she finds what she’s looking for. But, will Nikki find the love she desperately needs? I began writing when I was around 10 or so. My first book, Women and Business: The Secret World of Lipstick and Powersuits (True life publishing, out of print) was published in 2009. What is it about this genre that appeals to you the most? Do you read other genres? I like writing YA and for Women readers. 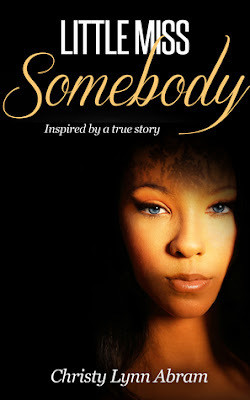 I focused on YA for Little Miss Somebody, because my protagonist is only 14. Well, my latest release, Little Miss Somebody is a coming of age story about one girl’s mission to escape her mother’s abusive ways and find the love she desperately needs. It is based on my life. My own journey of forgiveness and healing. I wanted to share my story in hopes of inspiring others. KeKe Palmer as Nikki for sure. Color Purple. I love that movie and book! I am currently reading, Before Happiness, by Shawn Anchor. It’s a good read. I would definitely recommend it. I usually write at home. My ideal location would be by the water (somewhere tropical) a cabin by a lake or a café in Paris. I love crime shows. I am addicted to Damages right now. I think I need therapy. I live in the Pacific Northwest. It is SO beautiful. Most people think it rains a lot here (we get our fair share) but there is much to do and the people are eccentric (my kind of folks!). My life. I’ve been through a lot. I have much to share. I feel sharing my story gives others the courage to speak their truth. Nah, I’ll leave that to Angela Bassett. LOL! To continue writing from my inner place. I am working on Little Miss Somebody 2, Love Yourself Healthy: A Holistic Guide to Peace of Mind and a few others (still working on the titles). I listen to jazz, classical and silence. After enduring years of trauma and struggling with depression and PTSD, Christy Lynn Abram embarked on a journey to self-healing using holistic wellness as her guide. Now, as an Expressive Writing Coach and author, she teaches others how to love themselves healthy. Christy is trained in eight healing modalities, including: a Reiki master, EFT practitioner, reflexologist, massage therapist, and a crystal healer, all of which aided in her discovery of how to heal herself naturally. These life-changing skills also served as the foundation to enhancing her gift as an intuitive healer. She has been recognized for her knowledge of the chakra system (by best-selling author of the Chakra Bible, Patricia Mercier), gemstone healing, and energy medicine. 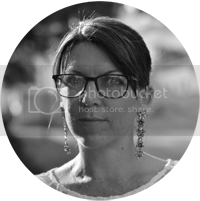 She also contributes to several online publications on the subject of holistic healing and offers individual coaching, e-courses, and workshops all designed to assist and encourage others on their journey toward a better, fuller life. Christy also loves to use her gift of writing to help others. In her book Chakra Wellness: 7 Ways to Renew the Total she dives into the seven chakra centers from a mind-body-soul perspective. Readers learn how to discern key issues, heal imbalances, and maintain energetic barriers to eliminate stress and increase their overall well-being. In her emotional novel, Little Miss Somebody, Christy wears her heart on her sleeve and delivers a poignant tale of love and sacrifice. Based on a true story, Little Miss Somebody will be released in July 2015.